Our group do not receive public funding and any monies we need to carry out our projects are by our fundraising efforts. 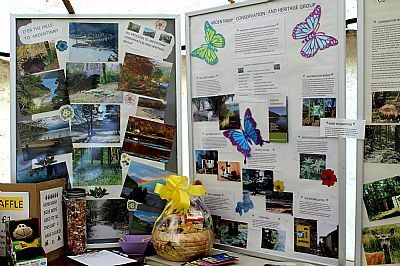 We have already tried several different ways to raise money such as tables at the local flea market, having stands at the Walled Garden etc. 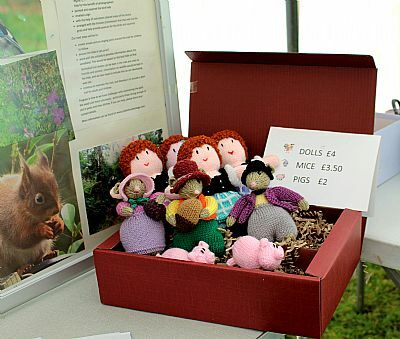 We were invited by Forestry Commission Scotland to have a stand at the recent annual Easter Eggstravaganza at Glenbranter. We were delighted to accept and take the opportunity to promote the Conservation and Heritage group and what we do. Our display boards giving information on our projects. The raffle prize comprising of a beautiful hand crafted bowl made by local craftsman Geoff Carr filled with lots of delicious chocolate eggs. 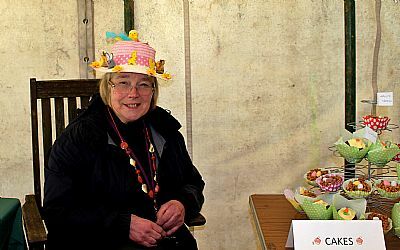 It was won by Rosemary Benn of Dunoon. 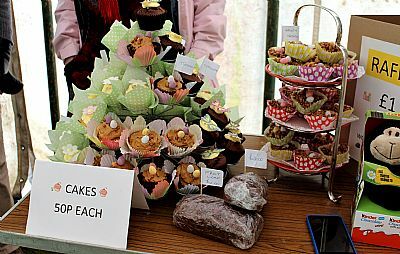 Various flavours of delicious muffins and chocolate nests were available but were all sold out very quickly. 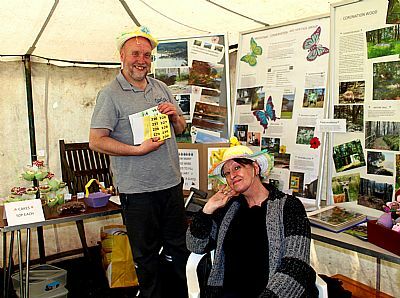 Thank you to Jo Wilkinson for her donation of beautifully crafted "beasties"
Two of our willing volunteers David and Dee resplendent in seasonal headgear. 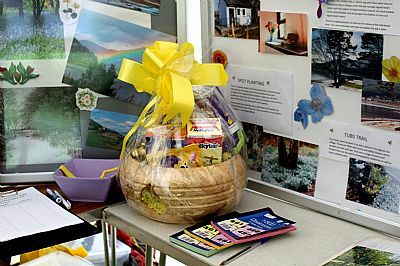 They were great in encouraging the sale of the raffle tickets and the Guess the Eggshell competition. A big thank you to everyone who came and supported us.